Wrexham hope to make their mark on and off the field on Tuesday, 3 October. 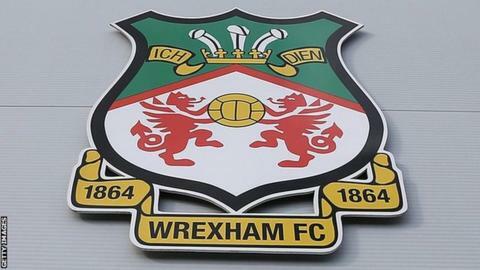 While the players head for Halifax in the National League, board members will meet Welsh Government members in Cardiff to make a case for backing for a Racecourse stadium redevelopment. The plan includes building a national Welsh football museum. Director Spencer Harris says a four-sided stadium is "essential" to help generate more income on a "non-match day". The Welsh Government's latest budget plans include £5m from 2019 for a national art museum and national football museum in north Wales. Spencer added in a club statement: "There is a fantastic opportunity here for the leaders of our national government to help us create something the region can be proud of. "The Racecourse can serve the needs of north and mid Wales and deliver sporting and cultural accessibility to all parts of the country. "We have had a very positive reaction from both the local authority and Glyndwr University and hope to build on that momentum with Welsh Government." He added: "As north-east Wales is the only part of the country without a national museum and, with Wrexham being the birthplace of football in Wales, it is a logical solution to locate a museum at the Racecourse Ground as part of a wider development of the stadium."